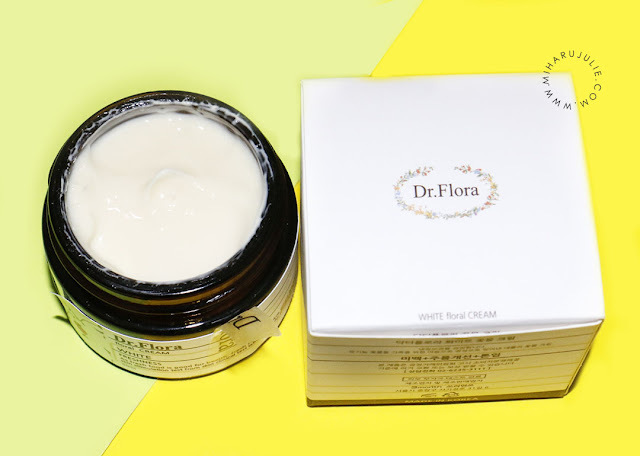 This Dr. Flora White Nerolli Floral Water Cream comes in a small jar. The jar is made of the same see-through black colored plastic with a lack srewing cap. It seems quite sturdy, too. The description is also written in English and in Korean. 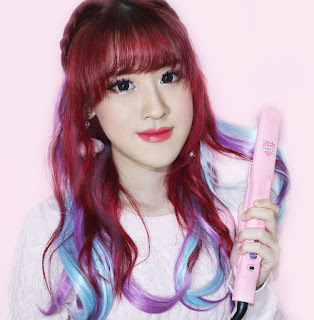 You can look up the ingredients on CHARIS. If you remove the lid, you’ll find a plastic separator between the lid and the product. Unfortunately, no spatula is included. So use either clean fingers or a spatula or spoon if you have one. According to its description it brings to you the 100% organic products that use high quality natural flower water for clear skin. All of Dr. Flora’s products are free of artificiall pigments and synthetic fragrances. So far there are four products available from this brand: Dr. Flora White Flora Toner, Dr. Flora White Flora Lotion, Dr. Flora White Flora Essence, and Dr. Flora White Flora Cream. 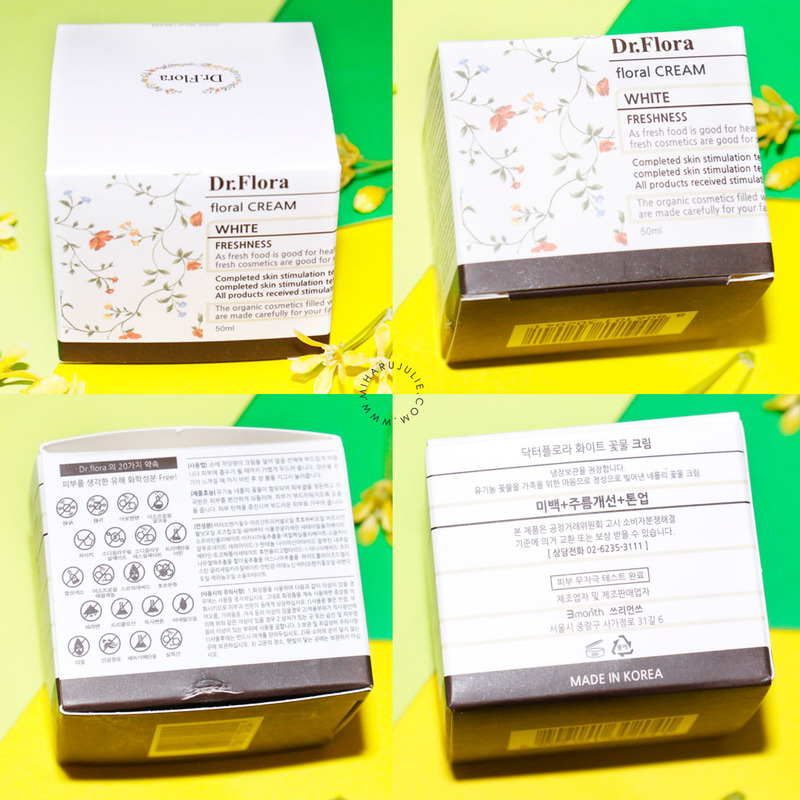 Dr. Flora White Nerolli Floral Water Cream have a light yellow shades and creamy texture. The scent of this cream is more like neroli floral, but it is still nice. 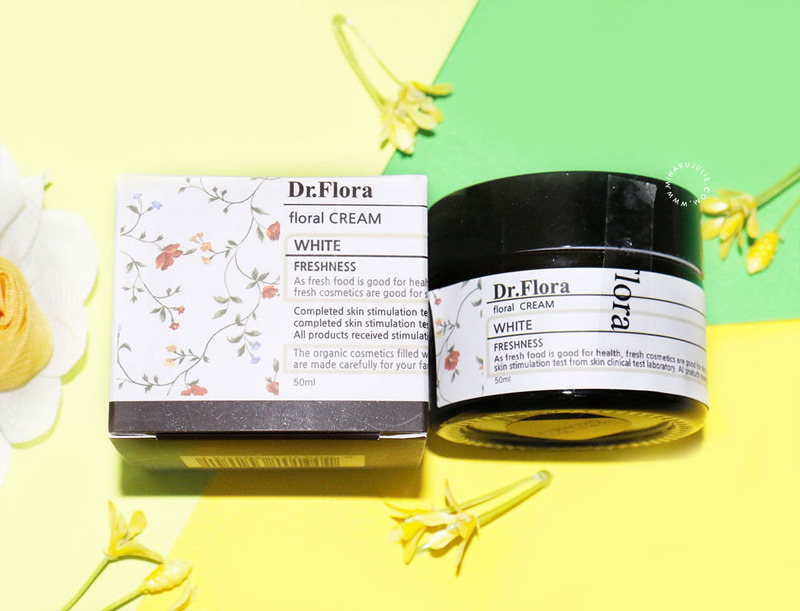 The cream can be spreaded easily and All the ingredients are safe with Flower water is full of nutrients and helps nurture healthy skin. This product is recommended to all skin types as it has all natural ingredients and all products have passed hypoallergenic tests. Use with a sunblock product as the mixture of an abundance of vitamin C and UV rays can lead to freckles. I have a dry skin so I used it for a night time to moisturize my skin. 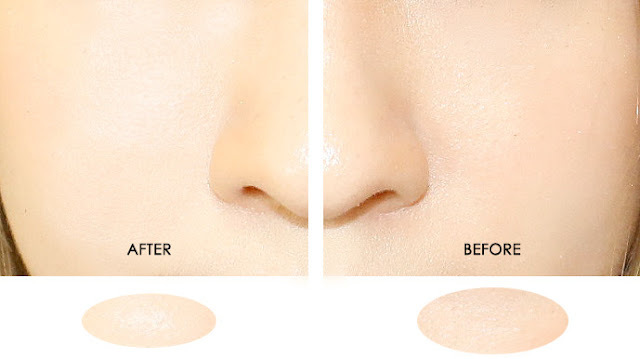 After a few week, my skin looks moisture and it corrects the skin tone and makes your complexion look more even. It is also not sticky and give a nutritious balancing with a real flowers. By the way, don’t put too much cream on your face at once. 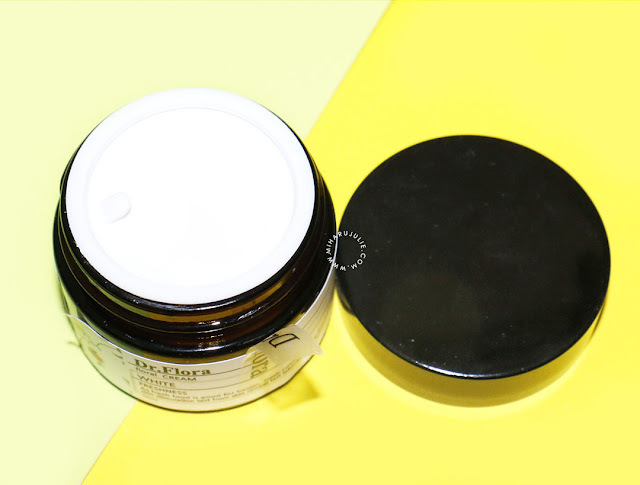 Because of the formula it is better to apply little by little and rub it into the skin until absorbed before adding more. This must be a lovely product, thanks for sharing! Gostei de conhecer o produto!